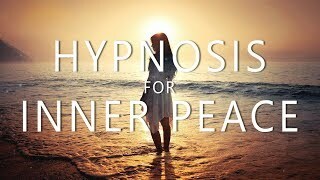 Welcome to this spoken, guided hypnosis session in just 15 minutes for finding your calm relaxation and for developing your sense of deep inner peace. Give yourself a break from anxiety or stress as you let yourself chill out for just a few short moments in the middle of your busy day; or for whenever you need to unwind and let go of any worries, clear negative thoughts, set aside concerns, or dissolve mind and body tensions. The end of this session will offer suggestions for returning to full, conscious alertness with an energized confidence and inner peace for your day or night ahead. By your own inner direction may you continue to find your greatest potential. MP3 version now available here: http://www.relaxmeonline.com/guided-meditation/spoken-word-guided-meditations-2/ A beautiful guided visual meditation By Jason Stephenson. This is specifically designed to help those who are feeling stressed or overly anxious. It is my hope that this meditation will help you to overcome anxiety - or at the very least, be better able to cope with stress and anxiety. 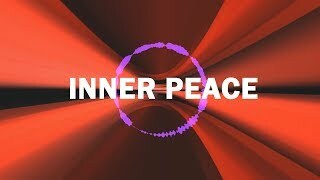 Mindfulness Guided meditation for inner peace and deep relaxation (2018) Going back to a basic type meditation, use your own breath and patience to attain a state of inner peace and deep relaxation. This guided meditation was made to feel as soothing as possible, a longer version is on the way. Deep relaxation and possibly sleep will be induced in this guided meditation, the feeling of stress relief and lowered overthinking is possible using this video on a regular basis. If you get distracted by any thoughts that are keeping you from relaxation then turn your awareness back to your breath. sit or lay as comfortable and in any way that best suits you, there is no right or wrong way to meditate. make sure that all distractions are taken care of and that the area you are using this guided meditation is safe. just let your mind wonder on its own way, giving up control and allowing you to just be. as you progress through this meditation just observe those thoughts and feelings, and anything that feels good, aim your mind in that direction in an unforced way. letting go of what you think of yourself, who you are, what is positive or negative is not important. Have an unbiased view towards yourself and the thoughts that pass as you listen to this guided meditation. if you like this meditation, please subscribe to be notified of new videos. 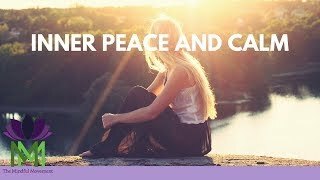 Guided Meditation for Inner Peace and Calm This is a guided meditation to help you calm the sense of being overwhelmed and find peace from within. You will be guided through a relaxation to help you get curious about what you are feeling. This meditation will help you nurture yourself with unconditional love and compassion. Let us know what you think and if you have any requests for more meditation or movement videos. Thank you for watching. Don't forget to subscribe and share. Your support helps us make more videos. Have ideas for new goals but can't seem to get started? Are you procrastinating on a new venture that could lead you to a brighter future? If so, this new guided meditation/visualization by Jason Stephenson will give you the power you need to get started today! ~ I create music and guided meditations to help you live in the present moment and become mindful. Using my relaxing music on my channel, (which has been selected from various new age artists world-wide) will help you to relax deeply, sleep, or reach tranquil states in your meditation practice. Take time each day to listen to a guided visualization, meditation music with which you can reflect and meditate. Even if only for five minutes each day. Meditation, like anything, takes time. ~ Come to the edge, he said. They said, "We are afraid." Come to the edge, He said. They came. He pushed them. And they flew! ~Guillaume Apollinaire. This happens to be one of my favourite quotations and I do my best to live by this. We can take the leap of faith in our lives by trusting that we are safe beyond measure. And to develop this trust, it is important for us to have a calm and focused mind. The best way to the other side, is through deep meditation. 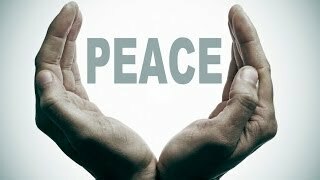 ~ My mission here on Youtube is to spread love and peace to the masses, through gentle, healing music, positive uplifting affirmations and peaceful guided meditations. I hope that you will enjoy your experience on my channel. 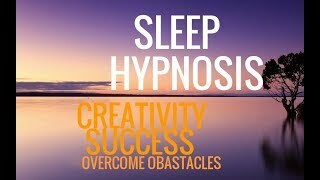 Sleep Hypnosis: Creativity, Success, Overcoming Obstacles, Positive Mind Training--Long This hypnosis will help you sleep, and allow your subconscious mind to attract and create a positive future. GUIDED MEDITATION. Rejuvenate & Gain Energy for Study, Concentration & Alertness Gain some energy and feel refreshed for the rest of the day by treating yourself to this very pleasant 20 minute long video. Set in a beautiful summer garden, a gentle English male voice will guide you into a deep state of relaxation from where mother nature will nurture your body and mind. ~ I create music and guided meditations to help you live in the present moment and become mindful. Using my relaxing music on my channel, (which has been selected from various new age artists world-wide) will help you to relax deeply, sleep, or reach tranquil states in your meditation practise. Take time each day to listen to a guided visualization, meditation music with which you can reflect and meditate. Even if only for five minutes each day. Meditation, like anything, takes time. We have included a Playlist on our Channel dedicating to providing you music to promote and aid your techniques. It has music which is hours long or music that is short and is only 10 minutes long. It is basically for Meditation and healing purposes. This playlist also includes music that will aid your sleep. It basically will calm your brainwaves so that you can relax and fall asleep faster. It is the best for those who have sleeping disorders. Designed to be listened to while seated in a chair, back straight, feet flat on the floor. Guided Meditation for Creativity and Focus Use this 10 minute guided meditation to help you focus on bringing your creative ideas to life. Music and meditation by Jen Edds for The Brassy Broadcasting Co. This audio, which can be used during work, study or meditation uses alternating sequences of Beta, Alpha and Theta waves to encourage fluid and abstract creative thinking (Alpha & Theta), while at the same time maintaining a state of focus (Beta) for effective problem solving and high-level information processing. This quick interplay between beta and theta/alpha promotes a balance between concrete thought and creative abstraction. This way we can encourage and bring to light new insights, generate new & original ideas, contemplate a concept from various points of view, and problem solve holistically. The beta phases serve to not only promote focus and concentration, but to also analyse, organise and therefore make sense of the abstractions derived from the more non linear holistic mind states induced by Theta and Alpha. In addition to using this audio during work or study, you can also use it in a rested state while meditating to assist with creative visualisation. Select an annotation on the screen, or click one of the timestamps below. Headphones are recommended for best results. Listen at a quiet volume, or any level that you find non-intrusive. Listen during study or any task which requires focus and 'out-of-the-box' thinking. The addition of alpha and theta waves means that you can also use this session for creative visualisation, for which is a rested state is ideal. Guided meditation Healing loss of a loved one I understand this is a re-upload but thought it deserved a second chance. If this video could help someone in their time of grief with the death and loss of a loved one please pass it on by sharing. I hope this guided meditation helps. Binaural Beats Isochronic Tones White Noise for Depression Relaxation & Healing | Good Vibes Stress!!!Stress!!!Stress!!! How to Deal with Stress?How to manage stress?Looking for ways to deal with stress anxiety & depression?How to cope with stress? Music is a very effective way to deal and managing stress. This stress management techniques is recognised worldwide. Binaural Beat Base Frequency: 172.06Hz which is considered to have anti depressive medicinal properties and bring a joyful and cheerful effect. The audio begins at 3.5hz a frequency associated with depression relief and plays for 15 minutes. The frequencies then shift up to 10hz.10hz brings an enhanced increase in serotonin and is a mood elevator. The Audio then plays 20hz. 20hz has an energizing effect helping bring vitality.The audio then plays 10hz. The binaural beat frequency ends by playing 1.0hz and back to 3.5, the 1.0hz frequency is associated with feelings of well-being, harmony and balance. We don't claim that we can treat you with our music but we assure you that our music helps to do so. Even Anxiety and effects lasting causing DNA damage. Anti Depression Drugs | Meds Bonus (Side Effects) : Nausea/Vomiting,Weight Gain,Sleepiness,Diarrhea and various sexual problems. With Good Vibes its free and no Side effects....Isn't it brilliant??? Guided Meditation VR / Relax in Virtual Reality Meditation made simple & visual. Available now for Gear VR. Coming soon for the HTC Vive and Oculus Rift. Bring peace, joy, and calm back into your daily life with the virtual relaxation app Guided Meditation VR. Use at home or work, while your mind vacations in exotic locations across the universe. Escape the everyday in one of over 4 lush locations, each with 4 unique meditation spots. Enjoy 9 free guided sessions in Zen, Loving Compassion, or Relaxation. Learn ancient meditation practices in a cutting-edge way. The world's first VR app to measure heart rate in virtual reality without add-ons. See the positive, calming effects of meditation in person! Enjoy FREE environments, meditations, and teachers in ongoing updates. Leave the worries of your life for a short virtual vacation, and return calmer and stronger. Find your happy place. This guided meditation was created to help you lucid dream. Lucid dreaming is the ability to know you're dreaming while your dreaming. When practicing lucid dreaming it's important to keep a dream journal. Write in your journal each day upon waking up. This guided meditation was inspired by Stephen Laberge's M.I.L.D technique. MP3 Available NOW! : http://www.cdbaby.com/cd/jasonstephenson12 Use this spoken chakra alignment meditation just prior to sleep. This will help you to sleep easy with a knowing that your body, mind and spirit is in alignment for the night ahead. COPYRIGHT: JASON STEPHENSON 2015. please do not use whilst driving or operating machinery of any kind. Connect with Spirit (Guides) Guided Meditation During this meditation you will connect to the energy and the essence of what many call spirit guides or guardian angels or divine source which is always with us, who helps us on our path of growth and becoming. In this connection you will find space to feel and receive love, support, guidance, peace in your life or it will simply help you fall asleep and in that state to receive the same. Background Video - Sunset on Gili Air island, Lombok, Indonesia looking over island of Gili Meno - filmed by me. Thank you for supporting my channel. Guided meditation - Mastering your mind - A subconscious journey into sleep Thoughts, feelings and emotions are dealt with in this all inclusive guided meditation. Banishing negative thoughts to creating positivity, through self awareness suggestions made in this video. You will master and begin to make the jouney of self discovery into quieting your mind, overcoming setbacks and things holding you back. Routine and focus will be decided upon through contemplation of your own specific circumstance. Adding together the willing to start using willpower, confidence will grow through experience. Relationships will blossom and improve, guarding against negative people also known as psychic vampires. This one stop guided meditation will then send you into a deep and very relaxing sleep. This guided meditation was created to help meet your inner adviser or spirit guide in a dream or perhaps a Lucid Dream. Candle Video by my dad. This meditation encourages a calm awareness of the breath, and also a gentle detachment from the habits of rumination (ie. over-thinking). This session is useful for alleviating symptoms of anxiety, OCD, and depression. By practicing these mindful techniques of conscious observation and self acceptance, you will find you are more able to quieten and relax an overly active mind -- and also naturally increase your body's healthy energy, to become a more self assured person in the present moment. This meditation experience may be repeated as often as you choose to reinforce your positive intentions. © JASON STEPHENSON Copyright 2017 All rights reserved. Hypnosis is a natural state in which you go in and out of daily: listening to music, daydreaming, driving and not thinking about driving, right after you wake up and reading a book or being engaged in a movie. These are just a few examples. The hypnosis you see on TV is entertainment-hypnosis, and has nothing to do with clinical hypnosis (like this audio). So you will be aware and in control when listening to our hypnosis sessions, while your subconscious mind will make positive changes unconsciously. Isn´t that good to know? Please Subscribe to our channel, because together we can raise the vibration of our planet make and our world a better place for ALL life. Thank You. 20 min Mindfulness Meditation Music Relax Mind Body: Buddhist Monk Chanting Mantra Guided Meditation: 20 min Mindfulness Meditation Music to Relax the Mind and Body, a Buddhist Monk Chanting Mantra. We're focused on creating a beautiful Collection of Long Music Videos for you to relax and enjoy in your daily Meditation. There are several types of yoga like, Anusara, Ashtanga, Bikram, Hatha, Iyengar, Kripalu, Kundalini, Sicananda, among others. You can listen to our music when practicing yoga for weight loss, yoga for flexibility, yoga for beginners and yoga for relaxation. Have you ever searched for Long Music Playlist for your Yoga exercises? We also recommend checking out "Doyouyoga" and "Fightmaster Yoga" Youtube channels! Our tunes can also be used as soft background music for reading. If you are interested in spiritual books we recommend the readings of Louise Hay, Krishnamurti Jiddu, Augusto Cury, James Redfield, Robin Sharma, Zibia Gasparetto, Deepak Chopra, Marianne Williamson and Rhonda Byrne. 8 HOURS long calming soothing nature sounds and sleep music that will help you get to sleep fast. If you are looking for a noise canceling sound or just wanting to calm the mind, you can listen to this playlist of relaxing nature sounds and calming music. Sometimes we incorporate binaural beats in some music videos to help you enter deep sleep states. Guided Meditation for Deep Relaxation and Sleep This audio will guide you into a deeply relaxed meditative state ideal for sleep and also included affirmations for improved self esteem, anxiety relief, and clarity or mind and focus especially in times of stress. Healing energy is directed through your mind, body, spirit, and emotions for an all around relaxing experience in non drug induced altered states of consciousness. If you like this music, please Support our work & it takes just a second! One of the major problems that each person has to face nowadays is the constant stress. Thankfully, with the help of relaxation music we can relieve the pressure that appears after a long day at work and, instead, we can focus on our mental health and other things that are much more important. Thanks to the music for studying or music for meditation, we have the opportunity to just chill out and enjoy a much simpler, easier way to relax without going through too much hassle. The healing music will help you reduce stress and feel much better, an essential thing to do if you want to have inner peace and feel a lot healthier. With the help of yoga music you will be able to enter a deep meditation mode, which is great for both your body and your soul. Thanks to the zen music and massage music you will get the same effect, mainly because these are different genres o the relaxation music genre, and so are the new age music, slow music, piano music and even the baby music. All of these are place a lot of emphasis on the way you feel and try to relieve all the pressure from your body, making you feel a lot better in the long run. Oddly enough, even the minecraft music will provide you with the same effect, in fact this and the spa music are considered to be one of the best genres that you can adhere to if you want to relax your body and enter it into a state of healing. Nothing can be more important than actually keeping your body and soul healthy, and with the help of ambient music as well as soothing music you will be able to see the difference. The soft music and soundtrack can also make a great example of relaxation music, mainly because these target the renewal of our body and allow it to enter it a wonderful mood that would otherwise be forgotten in the long run. With the help of peaceful music and wonderful music you get the unique opportunity to just try out the fall asleep faster and sleep better. This leads to a lot of interesting changes in life, and that is all which matters in the end. The relaxation music has numerous other benefits as well. First of all, it allows you to reduce pain that might be inflicted within your body, but it also helps with concentration whenever you need it. 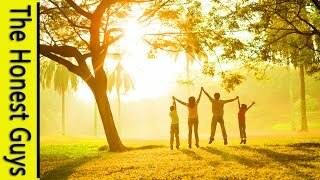 In the end, with the help of positive background music, soothing music, chill study music as well as relaxation music in general, you will be able to feel a lot better and just think about life in a more positive manner. Nothing can be more important that achieving all the things you need in life, and what makes relaxation music, as well as the other types of music presented here great is the fact that with them you can literally see the changes in your life take place very fast. Don’t hesitate, and try to implement these types of music into your daily endeavors to see how good your life can be! Ideal peaceful background music for working, resting, studying, meditation, pampering, spa, massage, yoga, zen, sleep, Pilates, or whatever else needs. Don't miss our new videos - SUBSCRIBE! The video, however, belongs to the original owner. You may share it with your friends, but you may not use it in any commercial purpose. DNA Healing Through Chakra Cleansing Guided Meditation Paul Santisi 3D Sound SUBSCRIBE AND BE THE FIRST TO RECEIVE ALL NEW AUDIOS! Listened to Worldwide in all 196 Countries. Paul Santisi here. 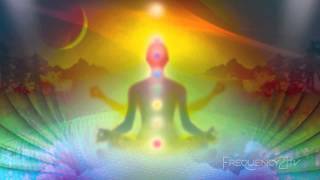 Here is a guided meditation titled "DNA HEALING THROUGH CHAKRA CLEANSING” This audio's intention is to clear out and cleanse all 7 Chakra points in the body. Healing tones, Mantras Affirmations and Frequency Music that will leave you speechless. This is the full length version, there is also a shorter 30 minute version available. Main Website Meditations - Audio Courses - Energy Products Plus Much More!! SHARE THIS VIDEO WITH EVERYONE YOU KNOW AS FAST AS YOU CAN! THIS MESSAGE IS ONE WE ALL NEED TO APPLY TO CREATE THE LIFE WE DESERVE TO ENJOY! Makes sure to subscribe to all 3 of our YouTube channels. REMEMBER I LOVE TO GIVE GIVE GIVE AWAY FREE INFORMATION!! and sign up for FREE. So I can send you so much more information on applying this material amazingly fast! So much more content to come! CALLING ALL MUSICIANS - If you are a musician in any genre and have had positive experiences with any of these meditations and audios that have inspired your music. and lets together create collective positive change for all World to benefit from. Want over 15 more FREE positive feel good songs for instant download? Download / Stream Your Favorite Audios on all your favorite apps and websites. Paul Santisi Meditations are EVERYWHERE!!! Just search Paul Santisi and everything will come up for you. Binaural Beat Sleep Meditation: Heart Chakra ANAHATA Cleansing, Positive Energy Boost Sleep meditation for Heart Chakra cleansing and positive energy boost. Using Binaural Beats, the 639 HZ Sacred Solfeggio Frequency and music therapy techniques. This frequency enables creation of harmonious community and harmonious interpersonal relationships. 639 Hz can be used for dealing with relationships problems – those in family, between partners, friends or social problems. When talking about cellular processes, 639 Hz can be used to encourage the cell to communicate with its environment. This ancient solfeggio frequency enhances communication, understanding, tolerance and love. 639 Hz frequency can also be used for communication with parallel worlds or spiritual spheres. Guided Meditation: Anxiety, Depression, Worrying, Overthinking, Stress Are you sensitive to negativity from other people? Are you one of many who carries around on negative thoughts and feelings, and don´t know how to let them go? This meditation/hypnosis session is designed to make your subconscious mind RELEASE unwanted negativity. Imagine carrying a backpack full of heavy stones going uphill..everyday...One day you find a way to let go of the heavy stones weighing you down...Imagine how good will that feel...Heal yourself inside a quartz crystal. This track is created by Kenneth Soares. He is a certified hypnoterapist and NLP trainer. The background music contains theta binaural beats and Solfeggio 417 Hz. COMPLETE BODY HEALING Guided Meditation/Reprogramming Note - if you are missing any body parts discussed in this meditation, I recommend to visualize that you are whole. Healing is possible through positive observation and appreciation. Why? Because this Universe is based on law of attraction and there is inclusion only. We get what we think about. I experienced my own healing through a positive momentum of positive intentions and appreciation and today I wanted to share with you a guided meditation which I believe will help you achieve desired state of your physical, mental and energy body. There is nothing more than that you feel good, in your feel good state you will find everything improving, in all areas of your life. Enjoy this journey. Big LOVE, Rasa. Credit for inspiration goes out to my friend André Trascoveski, my teachers Abraham Hicks, Meghan Currie and my inner being. Hello Friends! We would like to welcome you to our Live Laugh Love Club. Here you will find tons of quality music instrumentals, such as relaxing music, study music, sleep music, zen music, spa and massage music, yoga music, reiki music, meditation music, healing and therapy music. The benefits of listening to healing sounds are endless! Whether you want to relax, meditate, sleep, concentrate, or simply boost your energy levels, our videos will help to promote your overall well-being. If you become healthier and happier, then you have the potential to make positive changes in the whole world. Help us grow and spread higher consciousness around your friends and family. Our study and concentration music is perfect to quiet a mental noise in your mind, while you study for final exam, or work on a project. This type of focus instrumentals will help you to boost your brain activity and bring your concentration on a whole new level. Our yoga music playlist is awesome, while you do any type of yoga exercise. Simply play yoga music on a background and let these calm, soothing sounds heal your mind and body. This is what most people lack every day; relaxation. Our relaxation music is perfect for stress relief and anxiety. Our relaxing piano music is very healing for children, insomnia and depression as well. Looking for meditation music to relax mind and body? This meditation music playlist is excellent for Buddhist meditation, Zen meditation, Deepak Chopra meditation, guided meditation and any other mindfulness meditation. This healing music playlist is good for the body and soul, especially if you want to heal your mind, body, anxiety, and depression. In addition, you will find some healing music for insomnia, stress relief and anger. Our sleep music playlist is perfect deep sleep. Many of sleeping music videos include delta waves, which are powerful to fall asleep fast. Try this playlist as a sleep music for babies. Sleep music for kids and children will help parents to enjoy a peaceful night as well. Want to enjoy while you pamper yourself with a spa and massage music? Our calming music instrumentals are ideal to sooth your mind, body and spirit. Try it while a massage therapy or acupuncture and you’ll feel completely refreshed. Did you like this music? How may we improve our channel? Would you be interested in any other type of information, which is relevant to meditation, spiritual growth, etc? Please, feel free to share your thoughts with our community. If you found this music helpful, share it with your family and friends, please. Yoga Nidra| Guided Meditation (Hindi)| Simple Meditation Technique to Rejuvenate Mind and Body Meditation method Yoga Nidra Part 1 (Instructions in Hindi) by revered Anandmurti Gurumaa. Yog-Nidra is an ancient tantric method, which can open new capacities of mind. Stress, frustrations, insomnia, and psychosomatic diseases which have become a part of modern man's life, are being caused by our unstable mind. Unknowingly, we hurt ourselves and hold people and situations responsible for our turmoil. Yog-Nidra gives us an opportunity to understand our mind and cuts through its blind conditionings. Yog-Nidra means sleeping consciously. It is a kind of deep sleep in which you don't loose consciousness. It is a more efficient and effective form of psychic and physiological rest and rejuvenation. Normally, when people sleep, they do not unburden totally. They carry their frustrations, conflict, pain, and turmoil with them, hence, sleep never goes deep. Due of this, there remains great tension in mind and body. The practice of Yog-Nidra not only relaxes but restructures and reforms our whole personality from within. We burn old sansakaras, habits and tendencies in order to be born anew with every Yog-Nidra session. Yog-Nidra means sleep with a trace of awareness. It is a state of mind in-between wakefulness and dream. At this moment, your intellectual mind is operating but when you relax, the sub-conscious and unconscious levels of mind open up. If you practice Yog-Nidra, then the nature of your mind can be changed, diseases can be cured and your creative genius can be restored. The sub-conscious mind and the unconscious mind are the most powerful forces in the human being. Sub-conscious mind is a very obedient disciple and it immediately carries out the orders that you put to it. In Yog-Nidra, the most effective means of training the mind is found in sankalpa (resolution), which you make for yourself during each practice. Anything in life can fail you but not your sankalpa. It is an important stage of Yog-Nidra and a powerful way of reshaping your personality and giving a new direction in life along positive lines. When conscious mind and body is in deep relaxation, at that time whatever sankalpa (resolution) you will make, it will get fulfilled. The resolution you make at the beginning of the practice is like sowing a seed and the resolution at the end is like irrigating it. Yog-Nidra is a practice which brings the deeper layers of the psyche into conscious experience. This brings deeper relaxation on all levels; physical, psychological and mental. This induces direct affect on glandular functions which means a better health and higher levels of energy. During practice of Yog-Nidra your consciousness travels through one layer to another. Sometimes, it goes very deep and then you have exploding fantastic experiences and sometimes it won't go too deep. Experiences such as levitation may occur while consciousness transverses through sub-conscious mind. Temporary dissociation takes place in-between mind and body, and this is the time when you will have wonderful experiences. In Yog-Nidra, you do not have to concentrate, rather you move your consciousness from one part of the body to another; concentration will rather create obstruction. Just hear the instructions aware fully and a deep relocation will occur at physiological, psychological and emotional levels. Sometimes, you will be close to your senses and then you will glide away; when consciousness is suspended for a few moments, periodically, which means that it alternates between sub-conscious and unconscious states. So relax and just listen aware fully. When deep relaxation happens, our gland functions become better and makes our body healthy. Yog-Nidra releases all types of tensions-muscular, emotional and mental. When muscular tensions are released, it heals nervous system and endocrinal imbalances. When emotional tensions are released, we come out of all dualities: love-hate, pain-pleasure to name a few, which are more difficult to release. But when these emotions are repressed, we loose our sanity and stability. Mental tensions are a result of excessive mental activity. Yog-Nidra is a science of relaxation which enables us to dive deep into the realms of sub-conscious mind thereby releasing all tensions. Yog-Nidra is for all seekers and those who wish to experience higher states of consciousness, best of health and a powerful method to heal oneself. Anandmurti Gurumaa has presented this ancient method of Vinayasa and yoga which is a greatest boon for all human beings, in an entirely contemporary way. Welcome to this guided meditation, which is a full body scan to promote positive mind & body healing. This session is a mindfulness based meditation, and also a form of light trance or focused hypnosis. Regular meditation such as mindfulness has been scientifically proven to enhance relaxation, overall health and wellbeing. Mindfulness is recommended by well known meditation teachers such as Jon Kabat-Zinn. Meditation and hypnosis are safe and natural. A higher level of consciousness and awareness can be realised when we are able to quieten our minds and listen to our deeper truth. You may find the answers to many ongoing personal problems and issues, if you simply take the time to ask your inner self for a new direction. This session is suitable and recommended for repeated listening. Sleep Programming ➤ Rewire Your Brain - Manifest Magic & Amazing Opportunities | 8 Hrs Affirmations 8 Hours of Spoken Positive Affirmations for Deep sleep programming - personal development & Spiritual growth! Manifest Miracles, magic and amazing opportunities with these powerful law of attraction affirmations. MP3 DOWNLOAD: http://bit.ly/1SwwvAX Affirmations are useful in wiring the brain with positive & optimistic thinking! From positive thinking comes more positive emotions and less stress and anxiety. This is a powerful tool you can use to plant positive seeds into your subconscious mind to increase your sense of well being, joy, motivation, inner peace, happiness, love and improve the success you're having in all aspects of your life. With more positive emotions we are more likely to follow our dreams and awaken our true potential! Time to activate our higher mind! The law of attraction works! This audio can be used to program your subconscious mind while sleeping. ( Sleep affirmations ) While sleeping, the affirmations bypasses the filters of the conscious mind and sinks even deeper into the subconscious enhancing the effects! Please Subscribe to our channel, because it helps us to raise the vibration of our planet and together we can make our world a better place for ALL life. Thank You. The Secret Universal Mind Meditation by Kelly Howell With this program you will overcome limiting, outmoded beliefs that have hindered your ability to create the life you’ve always wanted. While theta and delta waves gently lull you to sleep, The Secret meditation re-programs your mind with new knowledge and beliefs that unleash your power to create a new reality –a reality that fulfills your deepest needs and desires. Through nightly listening, your subconscious will accept the information it receives as true. When this happens, what you need and desire comes to you. And there’s nothing you need to do except relax and listen. If you fall asleep while listening, that's even better; the messages are still absorbed into your subconscious. The results are profound. Solfeggio 852 Hz ➤ Awakening Inner Strength & Self Realization ➤ Zen Healing Music | Positive Energy Solfeggio 852 Hz is directly connected to the principle of Light, and Light is a higher form of bioenergy.This frequency can be used as means for opening up for communication with your higher self for awakening inner strength and self realisation. MP3 DOWNLOAD: http://bit.ly/2450g0B This audio can also be used to take you quickly into relaxation and bliss. This is a 20 minute "how to" or introduction to guided mindfulness meditation. This meditation uses the mindful technique of focusing awareness to sensations of the breath. This is an ancient practice with very modern, real world results which have been scientifically proven. Daily meditation such as this can help reduce symptoms of anxiety, depression, and general stress. Original footage and photography by Michael Sealey © 2014. Law Of Attraction Accelerator - Let Your Desires Flow To You | Subliminal Messages Binaural Be This Binaural – Subliminal relaxing meditation will help you to tune into high vibrational frequencies that will harness the power of the law of attraction in your life. Whether you want to attract money, prosperity, love or new friends, these subliminal suggestions will provide a tremendous boost to your law of attraction efforts. The carrier frequency is 432 hz which is related to the Crown chakra, the bridge to the cosmos. With the crown chakra, you can communicate your spiritual nature. The first 30 minutes begin with theta waves 7.83 hz (Schumann resonance) and the second half ending with 4 hz. 10 Minute Guided Meditation - YOU HAVE EVERYTHING YOU NEED | End Anxiety, Frustration, Ugency, Fear Enjoy this 10 Minute Guided Meditation YOU HAVE EVERYTHING YOU NEED to help ease Anxiety, Frustration, Ugency, and Fear. Please subscribe and stay connected to our positive energy! Guided Meditation for Gratitude - 15 Minutes Allow this meditation to bring gratitude into your heart, filling your life with more of all that you bring positive energy and attention to. For maximum, life changing results, listen to it every day for 28 days. Play at a low volume to avoid some background noise at the end. Thank You!!! I love you!!!! 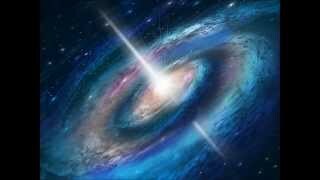 This session is combining energetic cleansing with subliminal guided meditation. This will connect you to a higher frequency of the source. Consistent listening will raise significantly your vibration and you can feel the change in every aspect of your life. Headphones required. The subliminal recording used in this session : You produce love and joy within yourself, your muscles are loose. With every breath, your muscles let go and the tension leaves your body. There is a ray of light from the center of the galaxy that is coming towards you. This ray looks like a spiral of light or vortex that spins very quickly. It comes from the source of creation and contains the new energy. You invite the ray to raise your vibration and to connect to your higher self. The ray of light crosses the cosmic gate of your halo and pierces into you through the crown chakra. You can really feel the chakra opening. Your body contains this new positive energy. The ray keeps spiraling in your head and cleans all the toxins, enlightening new areas in your brain that were numb and cleans neurological courses that were preserved and it's time to change them. It cleanses all the energetic blocks you have. The spiral pushes down all the waste out and you can feel it coming out through your feet like a dark fume. The ray of light illuminates your third eye chakra and expands your consciousness beyond the physical body. It keeps moving toward your throat chakra and cleanses it, keeps going down to your thorax and lungs and heals them. When it approaches the center of your heart, you feel your heart arising. With every breath you exhale, old emotional patterns fade away and redundant burdens you've been carrying just disappear. Love fills your heart, love for yourself, love for others, love for animals, love for the planet. The spiral keeps going down to your solar plexus chakra and switches on a yellow light that sends pure energy to your body and consciousness. The ray keeps spiraling down to your sacral chakra, opens it, reapplies it, and connects you back to your inner passions and desires. From there the ray goes to your root chakra and pushes down all of the waste you've had. The ray goes out of your body, leaving you with vital and supreme energy, until it connects to the core crystal of the earth. Now you're connected, filled up and down with divine ray of light that provides you security and protection. You feel this new energy flowing within you and vibrating in you with high frequency. Feel how this energy swells and fills your body and halo with love and acceptance. It carries all of your potential to do all you will ever ask for. From now on, with every breath you take, you raise your vibration energy and that makes you feel better and better each day that goes by. Feel the high frequency of your essence. You are breathing love energy. You are love. Activate CHI Flow Breathing Meditation | Boost Positive Energy | Theta Binaural Beats A Breathing Meditation that guides through a process of grounding, balancing and revitalising your LIFEENERGY (Prana). This ritual will work wonders on your physical, emotional, mental and spiritual health. Music is tuned to the healing 432Hz with Binaural beats (4Hz Theta waves) for max effect on your wellbeing. To get the benefits of the Theta wave - use headphones. If you don´t have them you will still benefit from immensly from the breathing meditation. Guided by Kenneth Soares from PowerThoughts Meditation Club. 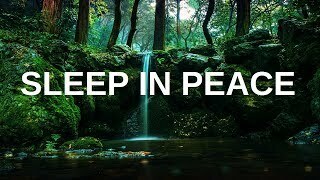 Guided Meditation Deep Relaxation for Vibrant Health Energy and Emotional Healing This is something that can help you fall asleep, give you something nice to listen to while you go about your day, or serve as a formal guided meditation. However you choose to listen will probably be the right choice. This recording based on meditative techniques is intended to soothe your nerves, help you settle down and relax, while guiding your mind to the best places for deep relaxation, health, and healing or the mind, body, and spirit. It can be used to fight depression or anxiety or as pain relief with and energy booster for when you get up to get things done. Relax, feel good, fall asleep, get something accomplished, or just have a pleasant meditation time to rest and revitalize your mind. This guided hypnosis session is for positively improving your health in all ways - body, mind & spirit - with relaxing suggestions for a self healing focus and holistic well being. By tapping into your own powerful, subconscious mind you will be able to focus your own deeper resources to help increase your natural healthy energy and inner healing abilities. This journey may be repeated as often as you choose to reinforce your positive health intentions. Guided Meditation ★ Manifest MONEY NOW ★ Manifest MONEY NOW is a POWERFUL guided meditation for you who are SERIOUS about wanting to EFFORTLESSLY manifest MONEY NOW, by alligning your body, mind and soul. Create new nevrological patterns that supports money manifestation and abundance. This will also help you to let go of your old limiting energies and beliefs around money. Kenneth from PowerThoughts Meditation Club is a professional hypnotherapist and will guide you through this with hypnotic language combined with powerful affirmations that will supercharge your manifesting energies and make you a MAGNET to GENIUS IDEAS and OPPORTUNITIES that will manifest money NOW. For most effect: listen to it once a day for 28 days. Then once or twice a week for the next 62 days. When you water the seeds they grow for sure. If you enjoyed this video and would like to experience more please Subscribe to our channel. We release NEW VIDEOS every Sunday & Thursday. Everything in the Universe is made up of particles and waves of electro-magnetic energy in constant movement and action. This energy moves through, in and out of people, animals, plants, and objects in ways our scientists are now just beginning to understand. In our human bodies, our heart is the largest generator of this type of energy which, when focused consciously and intentionally, can be used to bring about greater love, harmony, and wellbeing to both ourselves and others. But how do you do this? How do you send love to someone you love? How can you direct this love-heart energy, either to yourself and others? How can you actually send love to others after you lovingly say to them ‘I send you all of my love’. The quickest and surest way to do this is to simply think of a person you’d like to send love to, while you put on the BIGGEST smile you possibly can. Really. It’s that simple! If all you do is smile, this alone can have a profound effect on your overall wellbeing, and the wellbeing of those people you come in contact with every day. Positive psychologist Tal Ben Shahar’s video about the effects of smiling describes this in greater detail. You can watch it here. But, if you’re like me and like to break things down a bit, here’s step-by-step process you can do when you’d like to send yourself or another person some much-needed love. 1) Focus your attention on your heart. 2) Breath into your heart deeply, evenly and rhythmically. 3) Think of something or someone who evokes the feelings of love and appreciation. 4) Put on a BIG smile, and allow the feelings of love and appreciation to fill your body. 5) Radiate the energy-feeling of love and appreciation to the person you love. 7) Feel appreciation for yourself as you send this energy out to others. Remember, you can’t give others something you don’t already have, so the key to this process is that you actually feel the feelings of love and appreciation first. If you don’t, you won’t experience the results. The more you practice feeling and sending love, the easier it becomes. And after a while, you will start experiencing the many benefits and healing effects of having a whole world smilin’ with you. Gabriel Gonsalves, a leader in the field of heart intelligence, #1 expert in ‘The Law of the Heart’, founder of the Academy for Applied Heart Intelligence, international speaker, coach, and author, provides cutting edge techniques and spiritual technologies to help people access the wisdom, power, and intelligence of their hearts so that they can create an extraordinary life. Interested in working with Gabriel? Motivating Positive Energy: 6 Hour Relaxing Meditation Music for Deep Relaxation, Yoga, Peace ☯038 Body Mind Zone is home to the most effective Relaxing Music. We have music playlists for Meditation Music, Sleep Music, Study Music, Healing & Wellness Music, and Reiki & Zen Music. Our Meditation and Healing Music is ideal for reaching a deeper state of consciousness and self-healing. Our listeners have used the music in conjunction with top guided meditations from the likes of Deepak Chopra, Oprah Winfrey and Russell Simmons. Our music will guide you into a deep meditation, and allow your body to reach a state of deep healing, for body, mind and spirit. We’ve also taken inspiration from Tibetan and Shamanic sounds, to give you a wide selection of quality meditative sounds. Our Relaxation and Spa Music is ideal for winding down, and calming the mind. Use this music during treatment, or simply relaxing at home. The beautifully light sounds will transport your busy mind and tired body into a state of bliss and contentment. Our Reiki Music and Zen Music is uniquely created to make your Reiki healing sessions as effective as possible. The calming sounds are blended with frequencies that allow the healer to reach the ideal consciousness for healing, and encourages a state of relaxation and openness to Reiki healing. The unobtrusive sounds are also ideal for meditation, and encouraging a state of Zen. We'd love your feedback! Please like, comment and share. We are very active on social media in order to provide you with a better interactive experience and a forum to share your thoughts and experiences. Protection Meditation, Releasing Energy Vampires Mind Relaxation Feeling like someone is sucking the life force out of you? Want to find a way to protect yourself from negative influences? This guided visualization is for you! 10 Minute Guided Meditation to ease Anxiety, Worry, and Urgency | Soothing | instant Calm | POWERFUL Calm relaxing mediation 10 minute guided meditation video to help ease Anxiety, worry and the sense of urgency. We often feel the need to rush and complete tasks to move onto the next one. To make decisions by a certain time. This feeling of urgency, a pressure that causes us to act without considering our natural process of movement is a form of anxiety. Urgency can lead to panic attacks as well as anxiety attacks. In this free 10 minute guided meditation we employ guided positive energy and vibrations by calmly the urgency and anxiety as well as address the rumination of overthinking (i.e., over analyzing) OCD (Obsessive compulsive Disorder). There are many remedies for physical trauma but few for the emotional trauma's that we experience. Some of the root of Anxiety can be traced to physical medical condition, although I practice that all anxiety is physical, even if the root stems from an emotional experience. Anxiety has a foot print can be tracked. In this 10 minute guided meditation we use positive healing energy through meditation to follow a peaceful path away from anxiety, panic attacks, urgency, compulsive disorder, worry and fear to arrive at our peace within. Meditation has been scientifically proven beneficial for those who experience and even suffer from Anxiety. Meditation for anxiety, like out Positive Meditations, can transform the listeners experience and cause the mind to abandon anxiety impulses for a more peaceful and calming experience. Positive Magazine offers relaxing 10 minute guided positive energy meditations. Our Positive Energy Meditations covers Anxiety, Healing, Depression, Sleep, Health, and much more! Even more exciting is that we offer meditations in ASMR (Autonomous sensory meridian response). We also upload extended videos to feed the subconscious mind though soothing chants to be played during sleep or rest to refuel your spirit with Positive Subliminal, subconscious and self hypnosis means. Family Friendly content and great for calm for exams and studying. The meditations are ORIGINAL CONTENT and are NOT scripted; these healing words have traveled with me along my journey to arrive at this moment - they come directly from my heart to yours. Each positive meditation is intentionally designed for healing - DOWNLOAD and listen to 10 minutes of blissful relaxation and restorative peace. Solfeggio 528Hz & 432Hz ➤ Boost Positive Energy | Miracle Tones Known For Deep Healing 432Hz -Tune yourself to the heartbeat of our planet. Listening to 432Hz music resonates inside your body, releases emotional blockages, and expands consciousness. MP3 DOWNLOAD: http://bit.ly/1YJ9CLV 432Hz allows you to tune into the knowledge of the universe around us in a more intuitive way. MIRACLE Solfeggio 528 Hz - The frequency of Love. Can be used for relaxation and deep meditation and healing. Positive Energy Guided Meditation Through Positive Thinking A Guided Meditation for increasing your positive energy through positive thinking. Increase vibrational frequency. 10 Minute Guided Meditation for positive thinking, relaxation, calm and motivation. This meditation is designed for those who want to feel more positive and relieve some of their depression. If done correctly it should release powerful endorphins that will allow you to feel calm, balanced, powerful, purposeful and full of positive energy. We recommend you use headphones and be seated or laying down in a comfortable and safe environment free from distractions. Uplifting Guided Spoken Meditation With Positive Affirmations For Success & Feeling Good Quality MP3 Package Available here now:http://www.relaxmeonline.com/2014/06/07/relaxing-spoken-word-guided-meditation-package/ Here is a great morale booster guided mediation! This aim of this spoken guided meditation is not only to help you relax, but to feel good about who you are and to walk in confidence. This meditation is never to take the place of medical advice and is for enjoyment purposes only. Refresh & ENERGY BOOST in 5 minutes - Guided Meditation Engineered tones and frequencies combined with a guiding voice energizes and revitalizes your body and mind. Using 8.22Hz frequency to stimulate creativity. GUIDED MEDITATION - Positive Affirmations A relaxing and positive life-affirming meditation with "I Am" affirmations. Special guest music by Marc Enfroy (MarcEnfroy.com) used with kind permission. GUIDED MEDITATION for Healing, Energy & Enlightenment Take a journey into the Cosmos to heal and recharge your body, mind and spirit through a refreshing renewal of healing light-energy. The Five Minute Miracle - Daily Guided Meditation In just five minutes per day, your entire worldview can be shifted with the help of meditation. Experience a daily miracle by listening to a positive, guided meditation that gives realistic and empowering advice on life's challenges. EXPERIENCE THIS! 10 Minute Guided Meditation on Connecting To Spirit Guide l Supernatural l ASMR Uploaded for your enjoyment is a calming 10 Minute Guided Meditation for Connecting to your Spirit Guide. This meditation is for positive energy along your journey. Enjoy this supernatural experience. I hope you enjoy. In this 10 Minute Guided Relaxation Meditation we focus on connecting to spirit guide. Our guide is a healing spirit that reunites us to our divine and most powerful self. I fully believe that our spirit guide is our highest self. As Michael Bernard Beckwith says, "We are the stars looking back at ourselves." In this divine healing spoken meditation we make a solid connection to spirit guide and walk the path of peace within. If you enjoy our Positive meditations please Like, SUBSCRIBE and Share. The meditations are ORIGINAL CONTENT and are NOT scripted; these healing words have traveled with me along my journey to arrive at this moment - they come directly from my heart to your heart. Each positive meditation is intentionally designed for healing - DOWNLOAD and listen to 10 minutes of blissful relaxation and restorative peace.Quiet the Noise and Reconnect to your truest highest self of happiness and love. PLEASE SUBSCRIBE! Guided Meditation for Love and Positivity This is a meditation with the focus on giving and receiving love. You don't have to be a guru to benefit from meditation. This short guided meditation will relax and bring back your positive energy. The music is by Kevin MacLeod with incompetech.com. Guided Morning Meditation (10 minutes to kick start your day) Each day is a new begining. This short meditation will help you set your intentions as to begin the day centered, focused and empowered to flow peacfully throughout the day. Chakra meditation for cleansing, clearing, balancing and healing all seven of your internal energy centers, with the positivity of guided hypnosis activation. Remove negative blocks and re-energize your inner spirit by practicing this self hypnosis visualization. This session combines the power of positive, subconscious suggestions with the long held tradition of deep chakra meditation. May your coming days lead you always to your happiest, balanced and healthy life. You may practice this meditation and hypnosis session as often as you choose, as it is suitable for repeated listening. Regular practice and listening will also compound all positive suggestions and / or your own positive results. This recording is in no way a replacement for any prescribed medication; nor is it intended to contraindicate or supersede any medically diagnosed conditions. The author accepts no responsibility or liability for use of this material. GUIDED MEDITATION - Clearing Negativity A safe and empowering journey with your personal guardian of light and protector to rid yourself of negativity and any burdens you may be carrying. Guided Meditation and Autogenic Training with Healing Voice in Sleeping Music with Delta Waves for Brain Power for Health Care and Relaxation Meditation, against Anxiety and Depression for a Self Acceptance, ideal After a Long Day Working or Studying, Breathing Exercises and Deep Relaxing New Age Zen Music, Mind, Body & Soul Antistress Meditation for Chakra Balancing. Inspired by Don Miguel Ruiz book the four agreements. This meditation is for the first agreement being impeccable with your word. The words in this meditation is designed to override negative self talk and negative vibes. Welcoming positive self talk and positive energy. Enjoy! 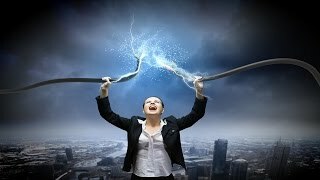 Release Negative Energy Attract Positive Energy Guided Meditation This powerful guided meditation for positive energy will help you discharge the negative energy from your personal space and replace it with positive energy. You will travel in meditation to meet your spirit helpers who will guide and advise you, and flood you with love and light from the Divine Source. This guided meditation is perfect for beginners. GUIDED MEDITATION for Healing - Experience the Pure Loving Energy of the Universe A high quality guided Meditation for Healing. Journey to a dreamlike world where you are blessed by the loving, powerful healing energies of the universe. Welcome to this guided meditation which is designed to train your mind for calm and relaxed moments of positive loving kindness. This session can also be useful for alleviating symptoms of anxiety and depression. By practicing these techniques of mindful loving kindness you will find you are more able to naturally increase your own compassion, tolerance, understanding and acceptance for both yourself, and for others. The end of this session will provide the suggestions to return to a fully conscious, awake and alert, positive mind state. Guided Morning Meditation for Positive Energy: Positive and Uplifting to Start Your Day Welcome! Hope you'll subscribe to my channel for my weekly relaxations and meditations. Here is a guided morning meditation that will fill you with positive energy that will help kick start your day. This meditation uses the imagery of a white light that is filled with positive energy that infuses every part of your body. In addition to feeling very relaxed, you will be filled with positive energy. This feeling will be enhanced by repeating to yourself the uplifting positive affirmations in the meditation. This is a beautiful meditation that will wake you up and help you start your day in a positive frame of mind. You can also check out her video on YouTube! I absolutely love her voice! A short but positive, relaxing, calming guided meditation for use whilst at work or as a timeout for yourself. Use this calming and healing guided meditation as a way of having space for yourself. Relax your mind and through doing so you relax your body. Using this short mind vacation on a regular basis can improve your relaxation levels and meditation is scientifically proven to have a vast improvement overall on your well being. All my guided meditation tracks are crafted around immersing you and relaxing you deeply so you can meditate and even sleep. Insomnia is a real problem and depression needs a clear mind to make decisions and have positivity. These guided meditation audio tracks can be used to calm nerves, anxiety, depression, insomnia, sleep problems, positivity, making decisions, relaxation, luicd dreaming, meditation, healing and generally relax you and clear any negative thoughts. please enjoy these uplifting guided meditations and if you do please consider subscribing, many thanks, Christian. 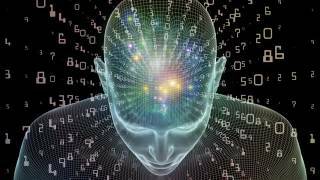 Raise your Energetic vibration - Subliminal Messages, Binaural Beats - Pure 7.83hz Schumann Resonance. Isochronic Tones 396hz; Binaural Beats 417hz Solfeggio frequency. The subliminal hypnosis meditation of this session: You produce love and joy within yourself, your muscles are loose. With every breath, your muscles let go and the tension leaves your body. There is a ray of light from the center of the galaxy that is coming towards you. This ray looks like a spiral of light or vortex that spins very quickly. It comes from the source of creation and contains the new energy. You invite the ray to raise your vibration and to connect to your higher self. The ray of light crosses the cosmic gate of your halo and pierces into you through the crown chakra. You can really feel the chakra opening. Your body contains this new positive energy. The ray keeps spiraling in your head and cleans all the toxins, enlightening new areas in your brain that were numb and cleans neurological courses that were preserved and it's time to change them. It cleanses all the energetic blocks you have. The spiral pushes down all the waste out and you can feel it coming out through your feet like a dark fume. The ray of light illuminates your third eye chakra and expands your consciousness beyond the physical body. It keeps moving toward your throat chakra and cleanses it, keeps going down to your thorax and lungs and heals them. When it approaches the center of your heart, you feel your heart arising. With every breath you exhale, old emotional patterns fade away and redundant burdens you've been carrying just disappear. Love fills your heart, love for yourself, love for others, love for animals, love for the planet. The spiral keeps going down to your solar plexus chakra and switches on a yellow light that sends pure energy to your body and consciousness. The ray keeps spiraling down to your sacral chakra, opens it, reapplies it, and connects you back to your inner passions and desires. From there the ray goes to your root chakra and pushes down all of the waste you've had. The ray goes out of your body, leaving you with vital and supreme energy, until it connects to the core crystal of the earth. Now you're connected, filled up and down with divine ray of light that provides you security and protection. You feel this new energy flowing within you and vibrating in you with high frequency. Feel how this energy swells and fills your body and halo with love and acceptance. It carries all of your potential to do all you will ever ask for. From now on, with every breath you take, you raise your vibration energy and that makes you feel better and better each day that goes by. Feel the high frequency of your essence. You are breathing love energy. You are love. Raise Pure Positive Energy Vibration | Healing Sounds - Subliminal guided meditation Iso Binaural The power of the ancient Solfeggio Frequencies gives rise to DNA repair and emotional change towards a positive outlook in life, for everything is made with vibration. The 2nd out of these 2ix frequencies is known as the 417Hz for facilitating change. It is ideal to listen during meditation or prayer. We added a 7.5Hz binaural beat for the effects of inter-awareness of self and purpose. Relax and set your mind at ease from the chaos and bring forth the guidance that you need. Binaural beats, or binaural tones, are auditory processing artifacts, or apparent sounds, caused by specific physical stimuli. This effect was discovered in 1839 by Heinrich Wilhelm Dove and earned greater public awareness in the late 20th century based on claims coming from the alternative medicine community that binaural beats could help induce relaxation, meditation, creativity and other desirable mental states. The effect on the brainwaves depends on the difference in frequencies of each tone: for example, if 300 Hz was played in one ear and 310 in the other, then the binaural beat would have a frequency of 10 Hz.